Floral Top, Forever 21. Maternity Leggings, Blossom Mother & Child. Boots, Office. And I do have a necklace on but you can't see it due to my rubbish photographing skills while husband is away haha! Seen as the weather is improving slightly, I felt like going a bit floral for work today! It's a non maternity top from Forever 21 but the fit is perfect for flattering a bump. 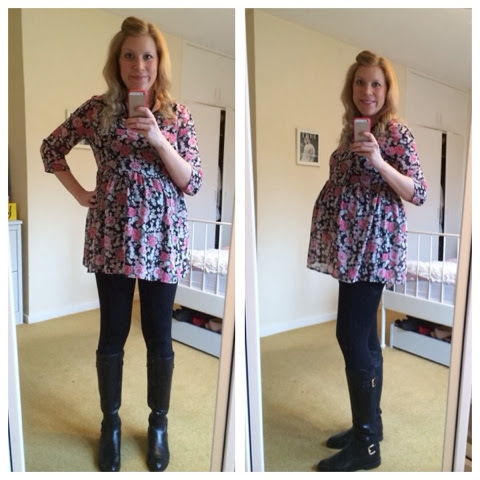 I think I get carried away thinking I need to get just maternity clothing but if you just go up a size in certain things, you can easily get away with normal clothes - much more choice! 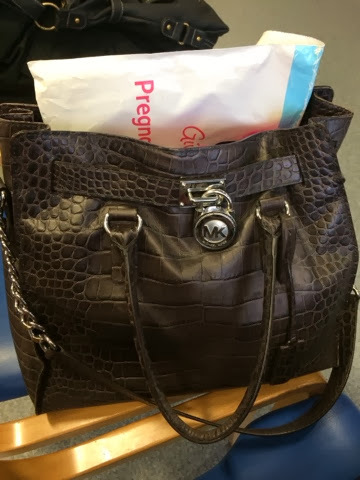 I also have my trusty Michael Kors with me for carrying my notes to my consultant appointment this morning. Fits perfectly!